Wilson Sossion: #Teachers I'm in the Parliament chambers taking an oath as ODM nominated MP. - Bana Kenya News, Real African Network Tubanane. Home News Wilson Sossion: #Teachers I'm in the Parliament chambers taking an oath as ODM nominated MP. Wilson Sossion: #Teachers I'm in the Parliament chambers taking an oath as ODM nominated MP. KNUT secretary general Wilson Sossion will be sworn into the parliament as a nominated MP today. The fearless KNUT secretary general ignored today the rumours that he wanted to decline the offer. 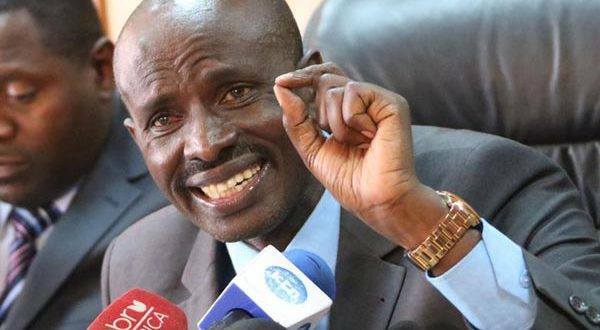 Mr Sossion, the Secretary General of the Kenya National Union of Teachers (Knut), recently publicly turned down his nomination but is listed on August 25 Kenya Gazette of nominated members to the National Assembly. Mr Sossion has been nominated to the House by Mr Raila Odinga’s Orange Democratic Movement (ODM). Others who joined politics from the Unions are Kuppet Chairman Omboko Milemba and assistant national treasurer Ronald Tonui won the Emuhaya and Bomet Central MP seats, respectively. Kuppet gender secretary Catherine Wambilianga is the Bungoma Woman Representative while the Nyatike MP is Mr Tom Odege, secretary-general of the Union of Kenya Civil Servants. In urging them not to turn down their seats, Mr Atwoli cited celebrated independence hero the late Tom Mboya, Dennis Akumu, Fred Kubai and Juma Boy who was elected to Parliament while still union officials.